Designing a bedroom for a woman cannot be considered as a simple thing to do. The fact is that woman is somewhat a lot more complicated than man. 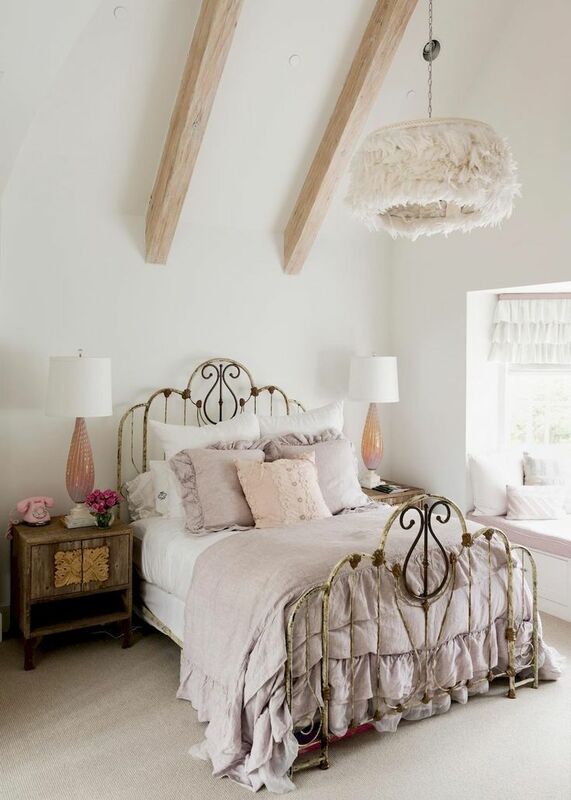 The problem in designing a woman bedroom will not be solved just by applying soft hues like pastel colors and put many accessories in the room. A woman always loves to be treated specially in all aspects of her life, including for the concept of the bedroom. The personality, the hobby, and the fondness should all become the consideration to decide the best bedroom decoration idea that can show different woman’s identity. Below are the lists of bedroom ideas for women that has been selected based on woman’s personality. Check them out carefully to find out one that suits you the best. A super active and super busy woman does need a cozy bedroom to release her fatigue. A comfortable bed, fluffy pillows, soft bed sheets and of course thick blanket are the main things to make you feel warm and relax in the cold nights. The combination of white and dark brown, supported by enough light from the string lamps are just too perfect to let your mind have a rest until morning comes. This bedroom idea can define the nature of a classy woman. The light metal items of furniture are not only modern but also stylish. White color shows the soft side and black represent the bold side of independence and reputable woman. The wall rug on the floor, the wall decoration as well as the small statues add elegant impression. The last but not least, hanging your picture on the wall will show everyone that you are a real confident, classy woman. 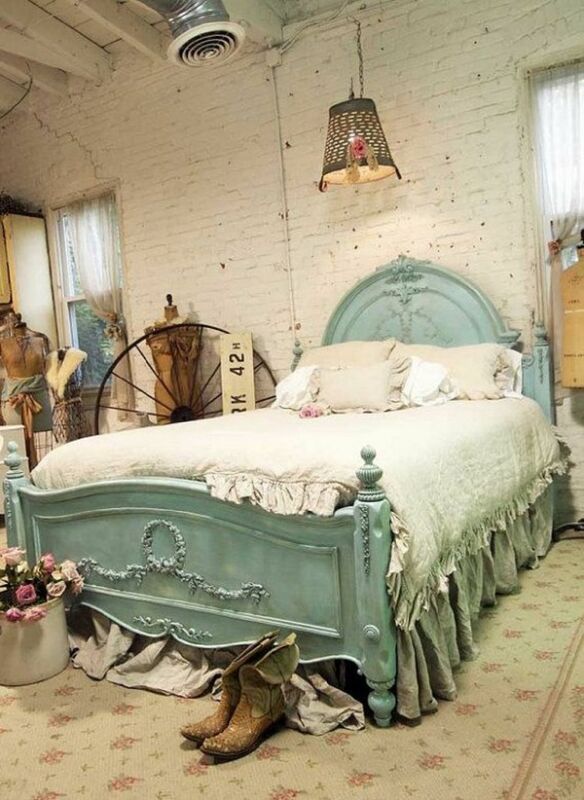 A shabby chic lover would undoubtedly put this bedroom idea as her favorite one. The basic white scheme surround by pastel colors has always been a characteristic of shabby chic concept. The feminine side is seen from the lace bed sheet and curtain, also the use of soft leather lamp cover. Combining the old and the modern furniture is a good idea to add the level of elegance to this room. Look at the classic divan and rustic tables. Don’t they stand very elegantly in this modern-style room? Are you a woman who is crazy about retro revolution? What have you done to prove it? Watching classic movies? Wearing leather boots? Wearing floral cotton blouse? Of course, those are not enough to prove that you are a real vintage fan. You must consider transforming your bedroom into the vintage concept like in this picture. 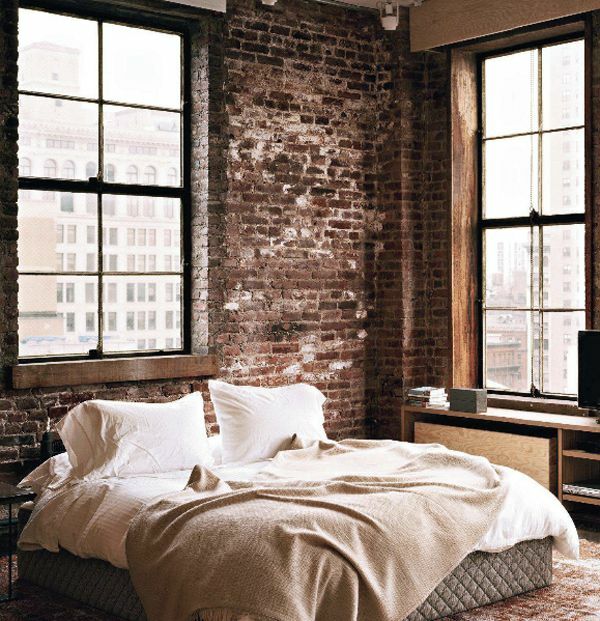 This bedroom uses exposed bricks for the wall and floral carpet to show its classical side. The Classic divan together with the lace bed cover will remain you to the bed of women from Victorian Era. Other decorations that can be used are cartwheel, rustic lamp, and old mannequins. The bohemian bedroom decoration idea for women will be fit for women who are traveling addict, love culture and have a rich artistic soul. 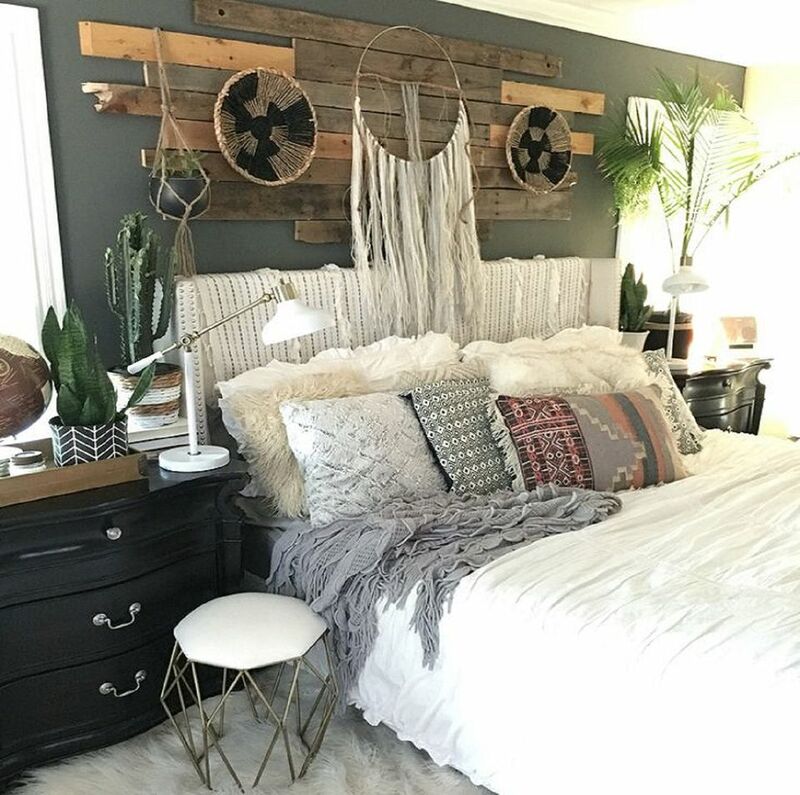 Random but wonderful, those two words are best to describe this boho bedroom. Designing this room is like putting all the things together in a creative way. The busier, the better it is. Just full the bedroom with rustic furniture like wood flanks for the wall decoration, modern furniture for the storage and chair, lace for the bed cover and curtain, fabric and pattern for the pillow cover, faux leather for the carpet, and various kind of plants for the decoration. 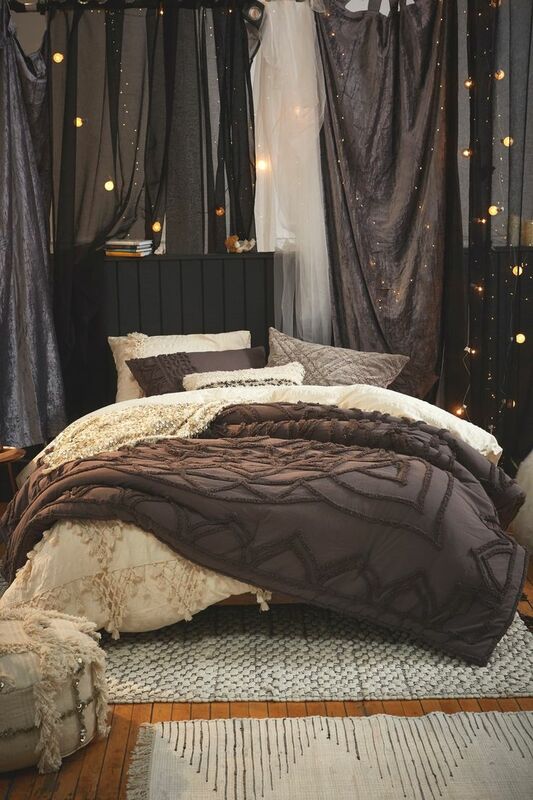 Even they are put a randomly, the bedroom will look artistic in its own way. Those are six-bedroom ideas for women that can help you to choose the best design for your next bedroom renovation. Answering these questions will help you to put your option. Are you a simple one? Are you an independence and superior woman? Are you an antique addict? Do you love cute and sweet accessories? After answering all those questions, you could choose one design that represents you the best. The last one is dedicated for a real woman soul who are soft, cute, and sweet. What is the best color to describe such feminine woman? Nothing better than pink! Painting the wall with pink, installing pink carpet, use pink bed cover, pink furniture, pink curtain, and pink accessories are the ways to gain the goal of creating pink bedroom. Different colors like red, green, blue and yellow are a good help to liven up the bedroom. Put those colors on the wall pattern, the sofa, dolls, pillows, and other stuff around the room. Having a mirror is such a must for a typically girly woman who love putting accessories on her hair and put make up on her face.